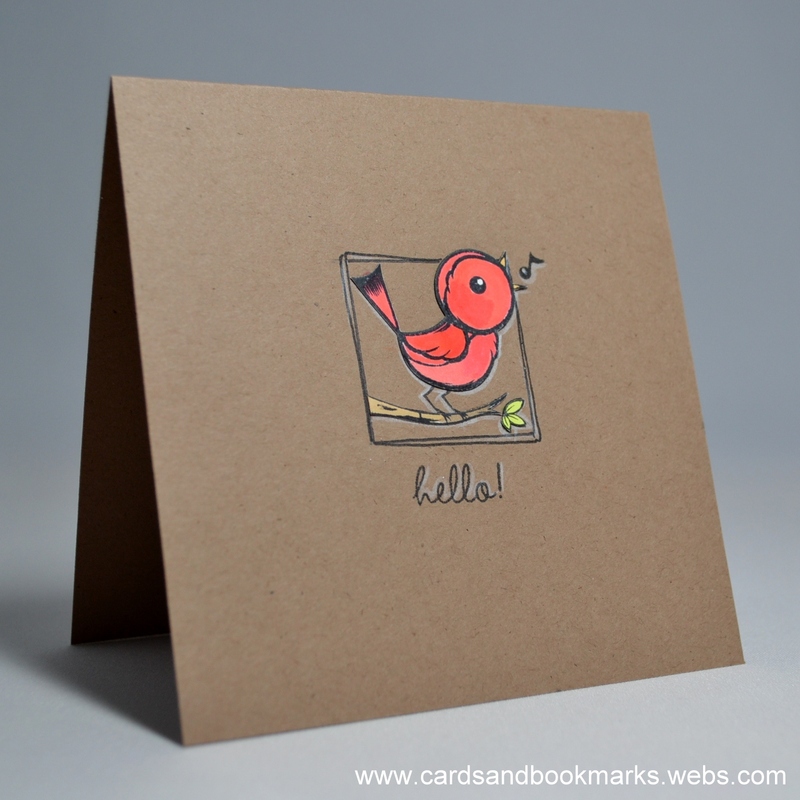 The Bird stamp is from Inkadinkado, and “hello” stamp is from Hero Art’s “Happy Day Animal” set. I colored the bird, branch and leaces with Le Plume and copic markers on white cardstock, then cut them out and pasted on the card. Added some highlights with white prisma pencil.